West Nile virus is a notable cause of neuroinvasive disease, damage to the central nervous system, or even death. In this study, using metagenomics analysis and quantitative real-time PCR validation, we identified a JC virus infection in urine and cerebrospinal fluid samples of a West Nile virus patient with severe neurological symptoms and extended disease. JC virus is known to be involved in neurological complications, especially in immunocompromised individuals thus suggesting that the coinfection with JC virus is involved with the West Nile virus infection persistence and severe symptoms. 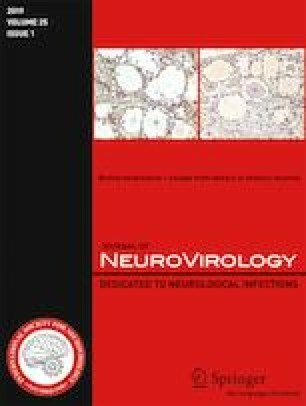 JC virus was identified in urine samples from additional West Nile virus patients via quantitative real-time PCR, however, JC virus was not found in any cerebrospinal fluid samples of West Nile virus patients, suggesting that JC virus does not regularly infect the central nervous system of WNV patients. Overall, this study highlights the importance of identifying infection by opportunistic viruses in already-diagnosed patients and highlights the advantages of next-generation sequencing and metagenomics for viral diagnosis. We would like to thank Tal Levin, Ravit Koren, and Osnat Halperin for help with processing samples. This work was supported by internal sources. Helsinki approval has been given for human samples used in this study.